on December 6, 2012 Comments Off on Mil Big Cat Tiger get its coat! OK, I prepared the Big Mil Cat preset and as promised it will ship with the plugin. 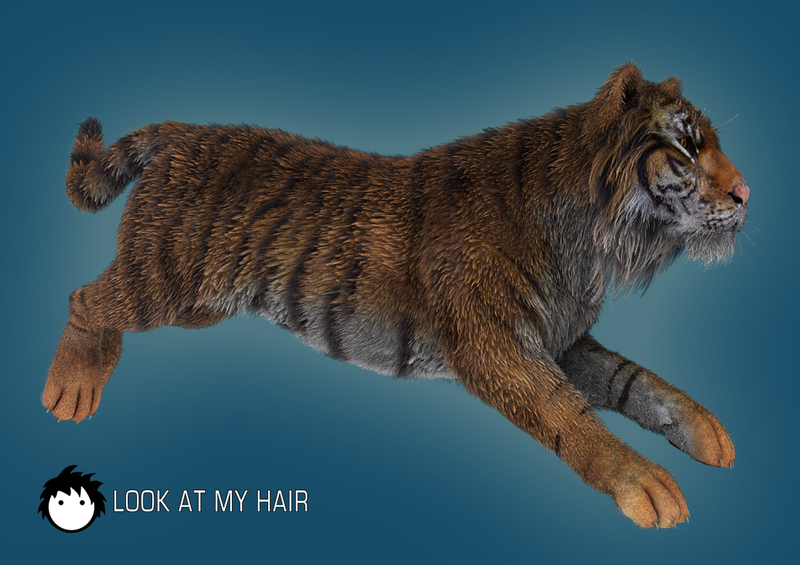 It will include a short fur preset and some custom ones, as the siberian tiger here, which has some longer fur around the neck. 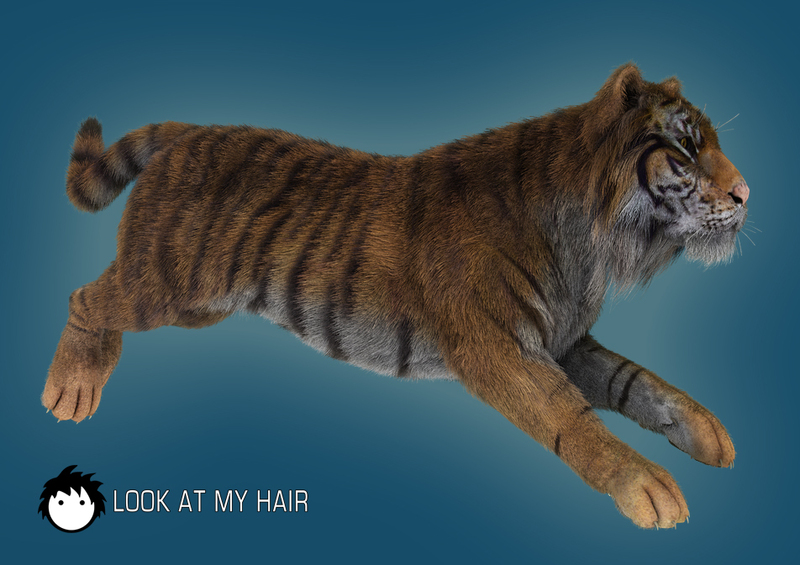 The renders here show a standard fur render, a “wet fur” look render (2nd image) where I used the clump effect, and the plain tiger without fur. 500000 hair, UE2, render time 5:35 minutes on my 8-core machine. Mid render settings.